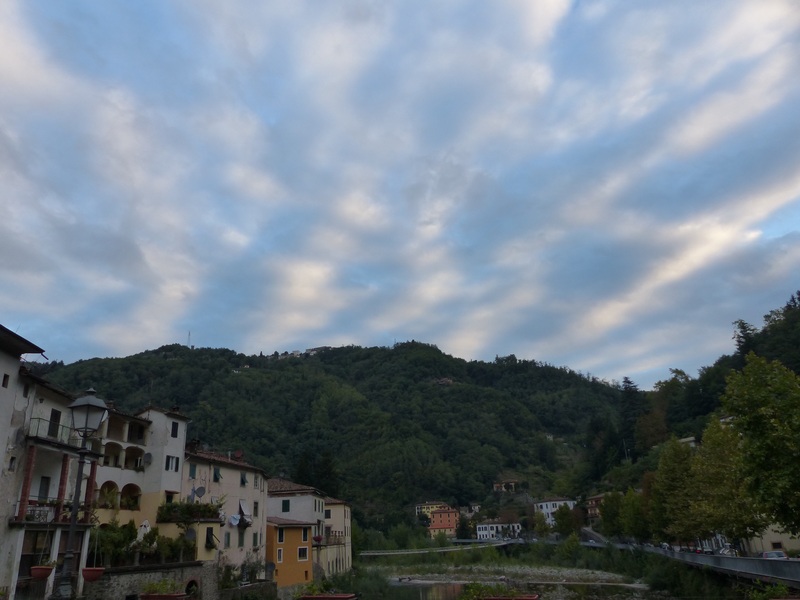 I was up bright and early this morning…in time to see this lovely sky over Ponte a Serraglio. The resident heron was up early looking for breakfast. 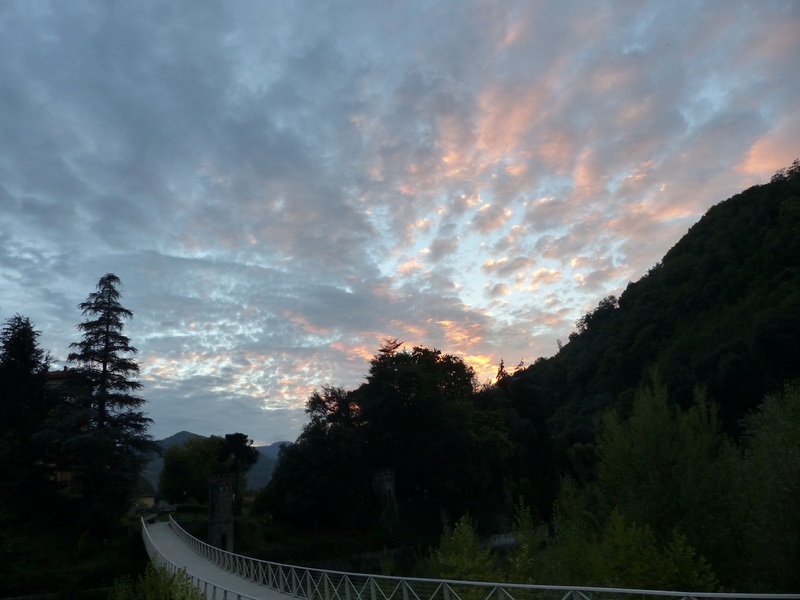 When I returned this evening the sky put on another good show. 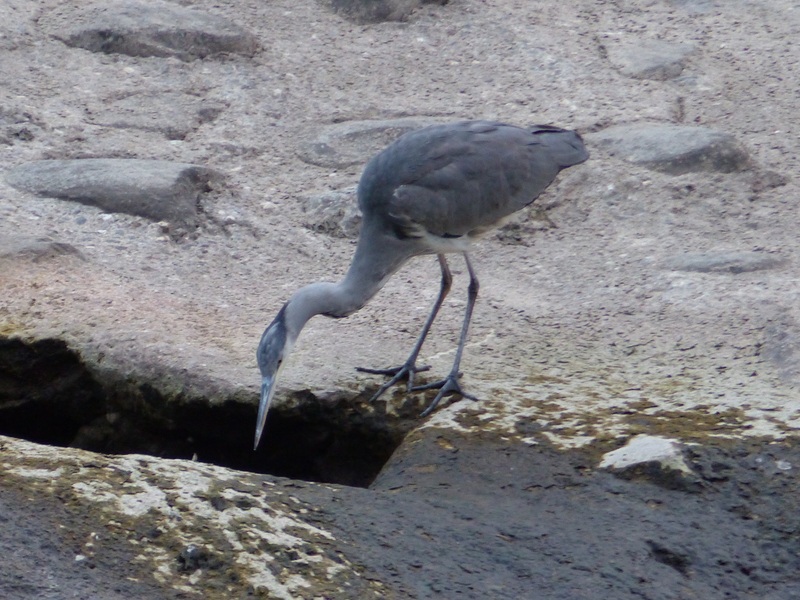 …and the heron was looking for dinner. I hope he caught something . 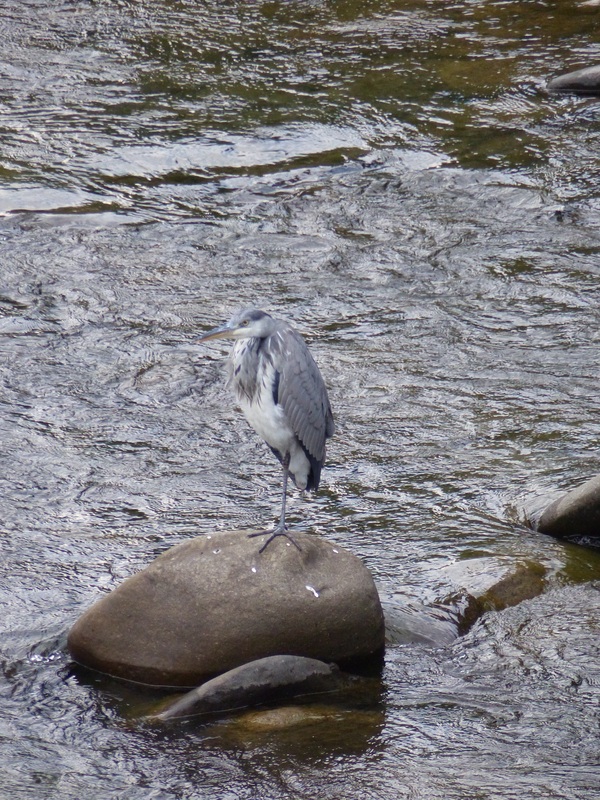 This entry was posted in The villages of Bagni di Lucca and tagged Bagni di Lucca, heron, Italy, Lima River, photography, Ponte a Serraglio, seasons, travel by Debra Kolkka. Bookmark the permalink. 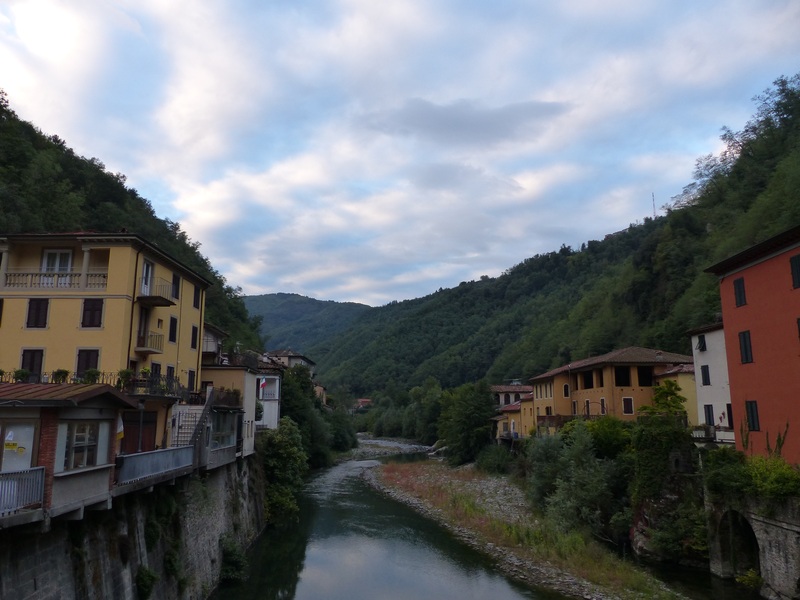 Ponte a Serraglio is beautiful. Aaaaaah, you make me miss Ponte!! wow…those last pics are so wonderful. Nature is amazing! 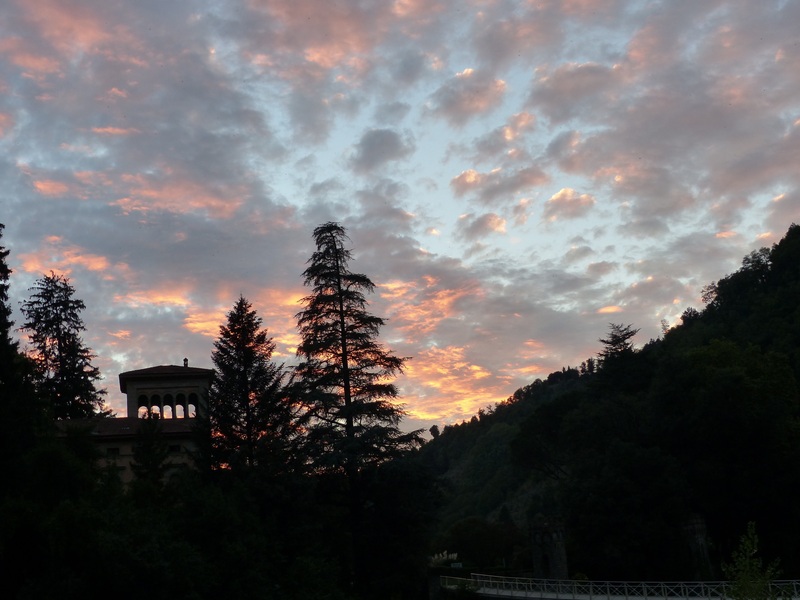 Colourful skies always look good. Great pictures. 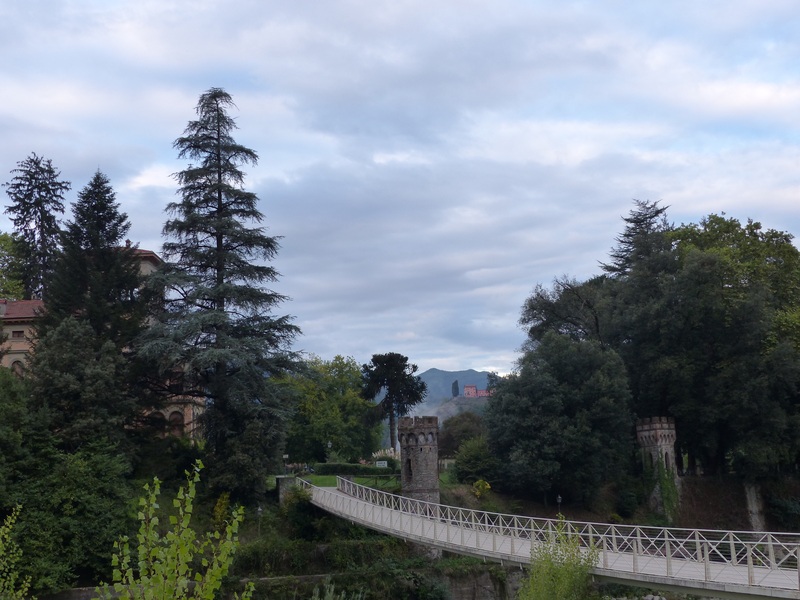 Ponte looking very restful. Are there still many tourists around? There are still a few, but it gets more quiet every week.